Also serving communities of Warwick. There are 8 Assisted Living Facilities in the Goshen area, with 2 in Goshen and 6 nearby. To help you with your search, browse the 41 reviews below for assisted living facilities in Goshen. On average, consumers rate assisted living in Goshen 4.0 out of 5 stars. Better rated regions include Middletown with an average rating of 4.2 out of 5 stars. The quaint town of Goshen is home to some 13,869 people spread out over the area’s 10 interconnection communities. The town itself is just 44 square miles, but what it lacks in area it makes up for in access; it’s less than an hour-and-a-half drive to New York City and all that metropolis has to offer. There are two assisted living facilities in Goshen available to cater to the roughly 17.5 percent of the local population aged 65 years or older, plus another 11 facilities in the surrounding area. As is the case in the rest of New York State, Goshen’s assisted living facilities are officially categorized as adult care facilities (ACF) and are regulated and monitored by the New York State Department of Health. Goshen gets slightly more rain on an annual basis compared to the national average and significantly more snow (40 inches per year versus 26 inches), making it relatively more difficult for active seniors to enjoy outdoor pursuits. Summers are slightly more comfortable with highs in July hovering around 83 degrees Fahrenheit. Seniors can feel safe living in Goshen, thanks to violent crime rates that are more than 10 points below the national average. The cost of living in Goshen is on par with state averages, but New York as a whole is less affordable than the rest of the country. Goshen’s senior residents can expect to pay more for groceries, health, housing, utilities and transportation. While there are regional buses providing frequent service from Goshen to New York City, local public transportation is limited. One option available to seniors is Dial-A-Bus, a reservation-only service that offers discount fares for riders 60 years of age or older as well as those with disabilities. Goshen has few facilities from which to choose in the event of a medical emergency or illness, with the nearest major hospital located in Middletown. Goshen has an array of community resources for seniors, including the Orange County Office for the Aging, which offers services and programs for seniors and their loved ones, and the Goshen Senior Center. Assisted Living costs in Goshen start around $0 per month on average, while the nationwide average cost of assisted living is $4,000 per month, according to the latest figures from Genworth’s Cost of Care Survey. 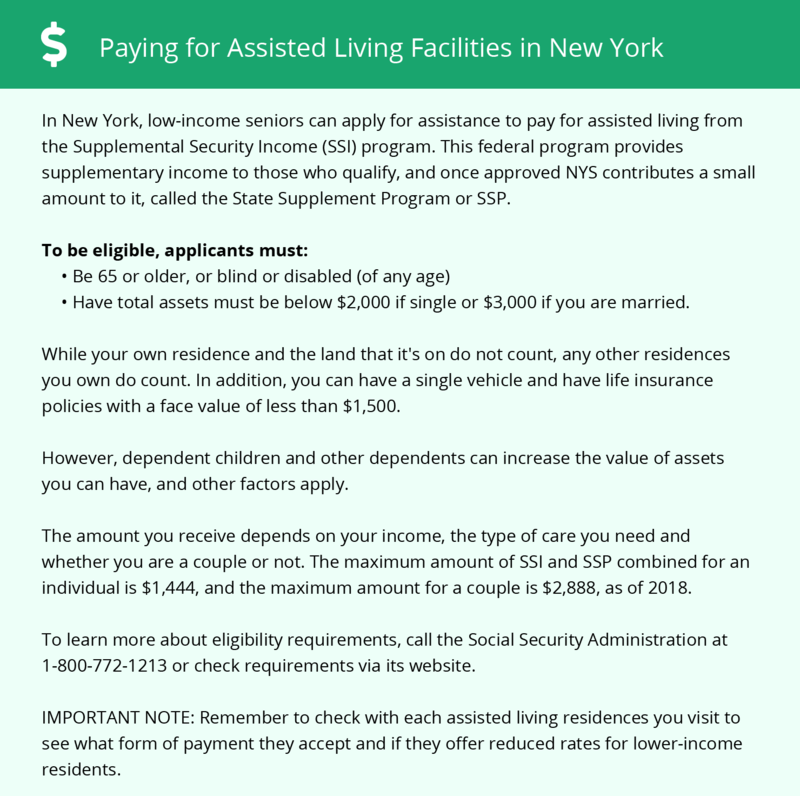 For low-income seniors in Hempstead looking for help paying for a place in an assisted living facility, New York State’s Medicaid program offers two possible initiatives: the Assisted Living Program (ALP) and the Consumer Directed Personal Assistance Program (CDPAP). To see a list of free assisted living resources in Goshen, please visit our Assisted Living in New York page. Goshen-area assisted living communities must adhere to the comprehensive set of state laws and regulations that all assisted living communities in New York are required to follow. Visit our Assisted Living in New York page for more information about these laws.